There are housing options outside your homeland, but living abroad need not necessarily predicate a stationary domestic situation. If you’re smart about it, you can go globetrotting perpetually, continue to make money, avoid localized taxes, and be comfortable all the while. This is made exceptionally possible through things like PayPal and online occupational solutions. With such exciting possibilities in mind, you’re going to want to establish a checklist before you hit the road—or the airways, at it were. 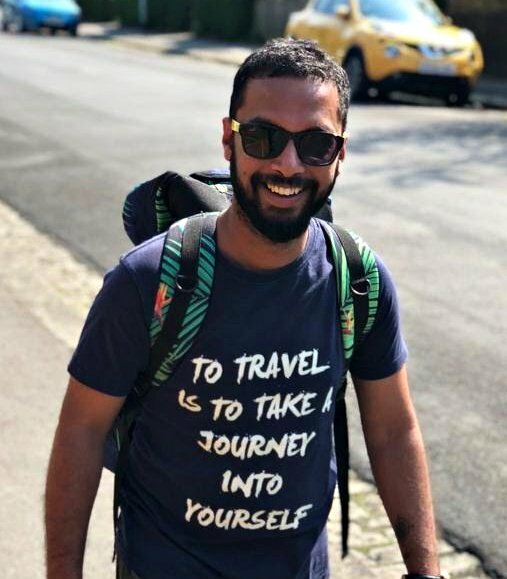 First things first: you need to iron out a way of making money while you’re traveling, or where you plan to reside after you leave your home country. Blogging is one of the best ways to do that. Check out this article from Perth Web Design: “Blogging for Beginners: Why You Should NOT Overthink Your Blog’s Design”; according to the article, “Publishing quality content is at the heart of content marketing. It helps establish your brand as an industry authority which potentially translates to massive returns for your business.” What does this mean to you as a traveler? There is a perpetually extant market you can tap into. People always need quality content, and though it’s not terribly difficult to write, many don’t want to write it, nor have the inclination to learn this trade. But it’s ten times easier than writing a paper in a high school class. That paper was three or four pages, double-spaced—maybe as many as ten pages. A blog averages at between five and six hundred words, or two to three pages from a paperback novel of traditional dimension. You can get to the point where you can earn three to five cents a word in less than thirty minutes, and consistently. It may take a year or so to get there, but once you’ve achieved such a goal, the world is your oyster. Once you’ve got an overseas job lined out, your next step is going to be sourcing secure travel. Depending on how far you’re going to travel, and how often, there are a lot of ways to do this. Chartering a jet is a great way to get where you want to in a timely manner. Safe travel is tantamount to an enjoyable globetrotting jaunt, or even a single one-way trip to some location abroad. But yet you still haven’t figured everything out for your overseas adventure. Next you want to ensure your passport is in order, and that you have requisite finances for the worst-case scenario. There are going to be things which happen that come out of the blue, and you want at the very least $2k hidden away that you can use in an emergency. $4k is more recommendable, but it’s certainly a larger sum. Finally, pack as light as you can. You don’t need three massive trunks full of outfits and baubles. You need one backpack, or maybe one suitcase in addition to the backpack. But the more you travel with, the more you’ll have to manage. The more you have to manage, the more complicated and dangerous your trip. Thieves watch for “green” tourists. So cut down your travel luggage so that you’ve got the least which you need, and move abroad in as free a way as possible, so you can more properly enjoy your new home. You share the useful checklist. Your idea is very helpful. Thanks! Thank for this helpful checklist. I am planning a trip to Europe next month. Packing light is key! I’m hoping I’ll have an opportunity to live abroad at some point. This is amazing and ultimate guide. I think finding the right kind of job is the most important point about moving abroad. Blogging is a good way of earning money for a nomadic lifestyle but I wonder how many people actually make it to the point where they can earn enough to relocate and travel around the world? I am new in the blogger world but it would be my dream to be able to do so! Having said that, I also love the security of having a full-time job in a big company, maybe because I’m slightly risk averse! These are some interesting tips and a good checklist for someone choosing to move out of their country and comfort zones into a new place.